Our school was opened in 1963 in its current location. 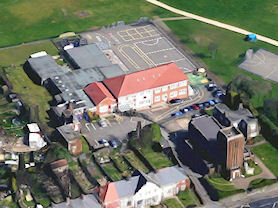 St. Margaret Mary's is a popular oversubscribed school serving Erdington and Kingstanding in the north of Birmingham. We have strong links with our parish Church and community, Father Simon Ellis the parish priest is our Chair of Governors. We are currently expanding; up to Year 4 we are two form entry. The school will continue to grown until we are two form entry in all years. Our Early Years Foundation Stage has 45 children in Reception and also a 26 place full-time Nursery. It is hoped that many of our children will attend the Nursery before moving on into our Reception classes. Our Early Years provision offers a wide variety of experiences and opportunities for our pupils to express themselves and learn. Our pupils’ personal, social and emotional development is key and our dedicated team of EYFS staff ensure pupils’ needs are met every day. Child initiated learning is a fundamental part of our practice in EYFS enabling our pupils to develop quickly into independent learners. At Key Stage 1 a high emphasis is placed on reading. This is crucial to success in both writing and mathematics. We follow the Ruth Miskin phonics programme and pupils achieve well at the end of Key Stage 1. In Key Stage 2 we focus on developing a broad range of skills in literacy and numeracy in particular. One of our fundamental aims is to prepare the children for secondary school, getting them ready for the next stage of their education. Our curriculum is robust, our curriculum is rigorous and our curriculum is broad and balanced. We place great emphasis on being a 'physically active school' and as such we host a number of sporting activities throughout the year. Music is very important to us here at St. Margaret Mary's, and every child in Years 4 to 6 will have the opportunity to learn a musical instrument. Every child will have a brass instrument to learn and play, and we host numerous concerts. We also have a thriving choir that performs regularly for events in school and beyond. We have numerous clubs before, during and after the school day. These change every half term to give everyone an opportunity to take part in the club of their choice. We welcome everyone into our school enabling our children to Live, Love and Learn.